Last Tuesday, we wrapped a contest co-hosted with our partner Georgia Shape and their Power Up for 30 program. Our missions are similar; simply put, we want everyone to fold physical activity into their daily lives and habits. Physical activity not only extends lives, it enriches them by providing energy, blood flow and brain power, no matter what your age! This specific contest focused on elementary school classrooms and we asked teachers to incorporate movement into their day-to-day activities– not just at recess! 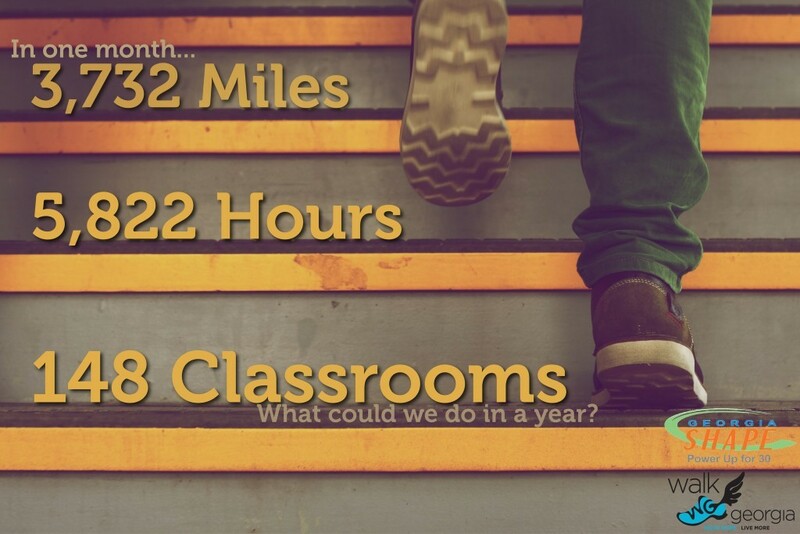 We asked teachers to make that effort and record their in-classroom activity progress on Walk Georgia from January 15 to February 15. The classroom with the most time recorded would be our winner, and the winning teacher would receive recognition and prizes at our annual Night at the Hawks event, February 20th. Our winning teacher, Samantha Richardson, from Shirley Hills Elementary in Warner Robins helped her classroom move a total of 517 hours (and 4 minutes!) during that month (between all kids combined) and inspired us all to prioritize our brains and our bodies. She wrote us an amazing letter in response to her winning announcement and we’ve included it below. We wanted to share it with you all, so that you can also be inspired to Move More and Live More– your future self will thank you! Mrs. Richardson’s Kindergarten students moving more! This is great news! My kids were so excited to hear how all their hard work has paid off! I’m so proud of them. I teach group fitness classes at the local gym (Edge Fitness) in addition to teaching kindergarten, so fitness is something that’s very important to me. I have always tried to incorporate movement in the classroom, but when I heard about the challenge, I knew I needed to make time for more exercise!! Typically, our morning work time (a period of 40 minutes from the first bell until the time class begins after announcements) consisted of writing in morning journals. With this contest, I changed the morning work to morning exercise. This is a change I will keep permanently! We take numerous “brain breaks” throughout the day. Again, we love GoNoodle! We are very into guided dancing in my classroom. (I teach Zumba as one of my classes at the gym, so I try to get the kids into Zumba!) We’ll take a brain break between each subject, but I’ll also put one on any time I see I’m losing student focus…even if it’s in the middle of a story! Kids can’t help it when their attention begins to fade, and it’s our job to keep them engaged. Students always have the option to sit or stand while they work. If students choose to stand, they just push the chair in and stand behind it, leaning over to work on the desk. Students have different spots in the room for different subjects. Students move to their preferred spots (including the floor) for writing and reading. I never use lost recess as a punishment. Thank you again for this wonderful opportunity! 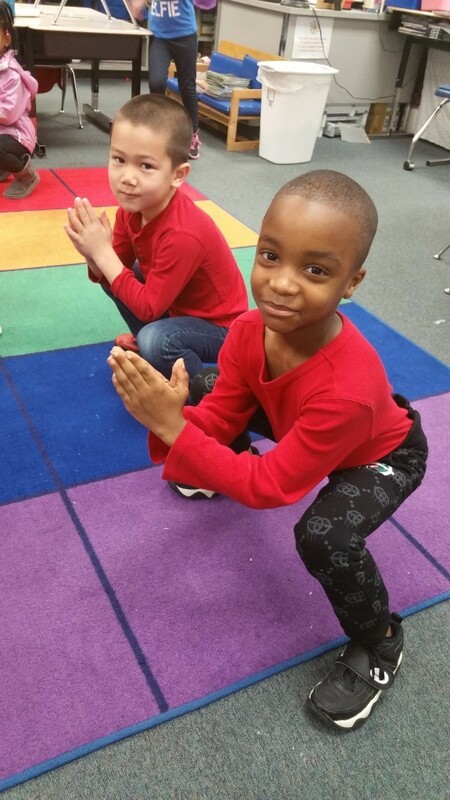 *If you’re not familiar with GoNoodle, it is a website that features a free collection of kid-friendly exercise videos! Videos range in length from 1-20 minutes. You can search by channels or categories. Channels feature the same people/characters, while categories feature a certain type of exercise. 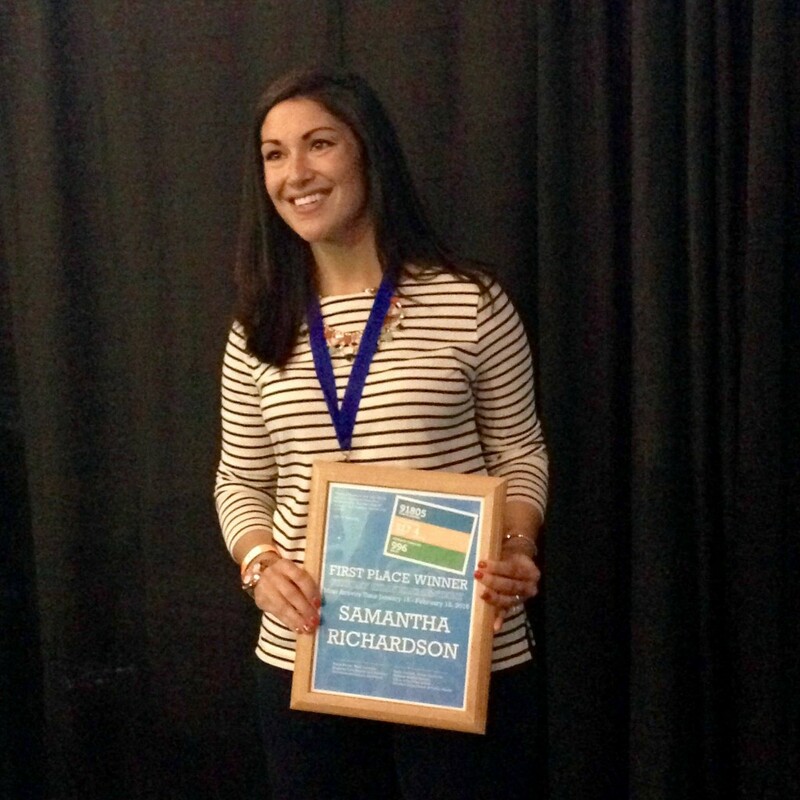 Congrats again to Mrs. Richardson (you can also check out her inspiring blog HERE)! Your classroom is an inspiration to us all. Let Walk Georgia know how we can help YOUR students, friends or family move more and live more! Email us at walkga@uga.edu. Posted in Announcements, Events, Spotlight, Uncategorized. This entry was tagged activity, classroom, contest, power up for 30, winner. Bookmark the permalink.